What if you could make your own book to distribute at a bar mitzva reception? A book that’s core-content is powerful and inspiring stories about boys coming of age written by Hanoch Teller. The front-matter of this book is yours design. You may include photographs, the bar mitzva invitation, congratulatory letters from luminaries, write a very personalized acknowledgment section as well as present an essay from the bar mitzva boy. There are dedication pages as well as room for tributes and anything a family may find meaningful to include in a personal and most original volume that will be distributed at the Bar Mitzvah celebration. There are many possibilities to render this a party favor that is not only poignant and purposeful, but one that will be cherished by family and friends for a long time. The back-matter may include birkat hamazone, or other material pertinent to the simcha. 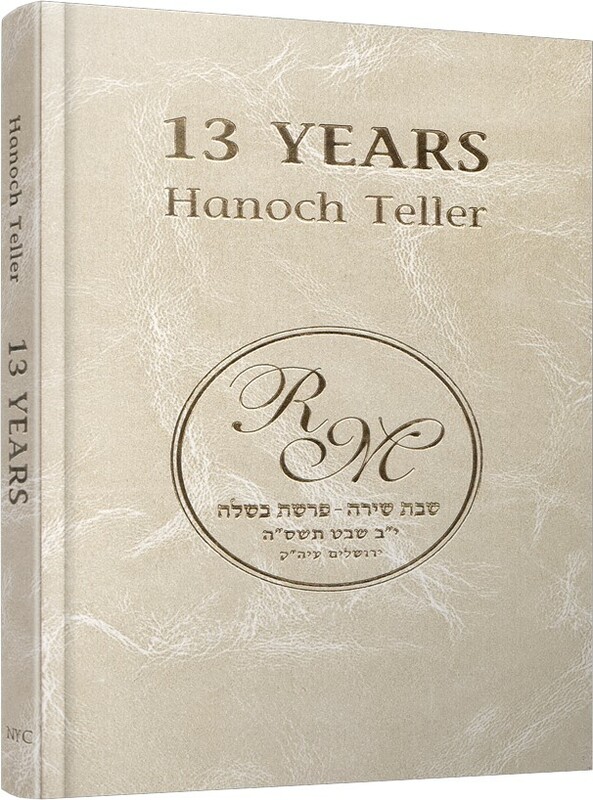 The book is manufactured with high-quality paper and binding, may have a decorative end-leaf, and the bar mitzva monogram may be gold-embossed on the cover. You may decide the color and texture of the PVC of the book cover – all for a very reasonable price – far less-than-half such a quality book, mass produced, would cost in a book store. To order this product for your bar mitzvah, please contact Hanoch Teller using the Contact Us section of this website.